Singapore will obtain the Airbus Military A330 Multi-Role Tanker Transport (MRTT) to replace its Boeing KC-135R fleet. The disclosure was made via the Cyberpioneer Twitter account run by Singapore’s defence ministry. 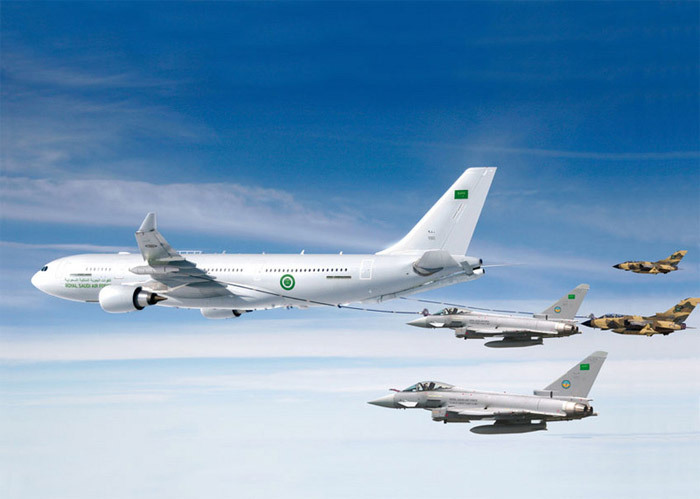 “(The) air force will replace ageing KC-135R with Airbus A330 Multi-Role Tanker Transport aircraft,” said the Tweet. It did not immediately make clear how many examples Singapore will obtain, but unsourced reports have put the number of tankers to be acquired at six. Singapore’s interest in the A330 MRTT type has long been rumored. It is understood that Singapore also considered the Boeing KC-46 tanker for the requirement. Given Singapore's apparent interest in the Lockheed Martin F-35B fighter, which requires a boom for air-to-air refueling, the country is likely to configure its aircraft similar to those used by Australia, with a hose and drogue unit under each wing and a boom under the tail. Based on the A330-200 airliner, the A330 MRTT is capable of carrying hundreds of passengers in an airliner-style cabin as well as performing air-to-air refueling duties. Singapore firm ST Aerospace has a long history of aircraft modifications and upgrades, and is well placed to perform the conversion programme for Singapore's future A330 MRTT fleet. The Cybyerpioneer account also confirmed Singapore’s plans to obtain two additional Sikorsky S-70B maritime helicopters. Flightglobal originally reported this procurement in February 2013.